Switching Windows 10 Mobile from 32 bit to 64 bit is inevitable as memory capacity in smartphones goes up, Microsoft says. There's a lot to like in Microsoft's Windows 10 Mobile for smartphones, but it has one glaring weakness: It still is a 32-bit OS. But a transition to 64-bit for the OS was inevitable as memory capacity in smartphones goes up, Microsoft said during a presentation at the Ignite conference last week. Windows 10 Mobile lags behind Apple's iOS and Google's Android, which transitioned to 64 bits a few years ago. Many new Windows phones already have 64-bit ARM-based Qualcomm processors, but the OS still runs as 32 bit. Thirty-two bits is "not really a limitation for us since the devices are all 4GB [of RAM] or less. 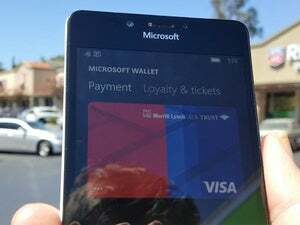 But that will change over the next couple of years," said Jason Whitehorn, partner software engineer manager of the Windows and Devices Group at Microsoft. The company is "very aware of" the impending transition and recognizes the importance of 64-bit, Whitehorn said. Smartphones with a 32-bit system have a ceiling of 4GB of RAM and need a 64-bit OS to tack on more memory. Whitehorn didn't provide an exact date for the transition to Windows 10 Mobile to 64-bit. But it'll likely happen soon because handsets like Samsung's Android-based Galaxy Note 7 already exceed 4GB of RAM. Also, Qualcomm's Snapdragon 820 chips -- which are compatible with Windows 10 Mobile -- support the latest low-power DDR4 memory and are better equipped to handle 64-bit apps. Mobile devices are getting more memory and storage to handle demanding applications, graphics, and 4K video. Some Windows 10 Mobile handsets also have PC-like functionality, requiring more memory. HP's Elite X3 can be a PC in a pinch when hooked up to a large-screen monitor, mouse, and keyboard. A 64-bit Windows 10 Mobile OS will also standardize application development. Microsoft is encouraging developers to port applications to the Universal Windows Platform, which allows apps to run across a range of devices, including smartphones, tablets, PCs, Xboxes, and HoloLens. Microsoft's Windows smartphone operating systems haven't set the mobile world on fire. Around 1.97 million Windows phones were sold in the second quarter of 2016, declining from 8.2 million units in the same quarter a year ago, according to Gartner. The Windows Mobile OS market share plunged to 0.6 percent during the second quarter, down from 2.5 percent a year ago. Android held an 86.2 percent market share, and iOS held a 12.9 percent market share during this year's second quarter. Microsoft is committed to Windows phones despite struggles. 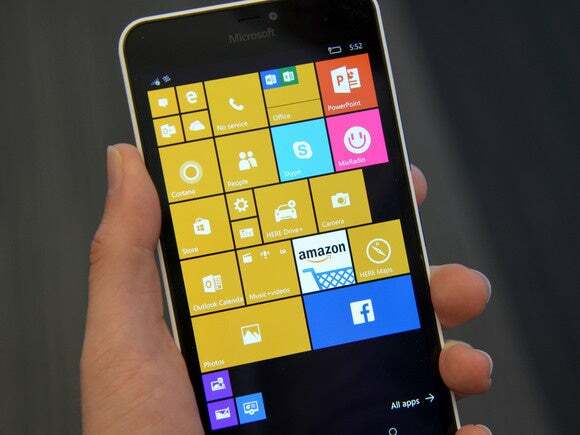 Whitehorn said the company is improving Windows 10 Mobile and will continue making handsets. Attendees at multiple Ignite sessions also asked if Microsoft would release a rumored Surface Phone, but company executives declined to comment. 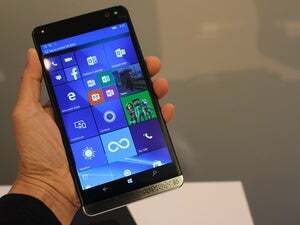 But the executives pointed to HP's Elite X3 as being the most advanced Windows 10 Mobile handset. HP's Elite X3 can double up as a PC thanks to a feature called Continuum. When a smartphone is connected to a large screen monitor, it opens a new Windows desktop session, basically mimicking a PC. But the processing and storage are on the Windows 10 Mobile phone. Continuum is useful for mobile workers who want to use smartphones for productivity applications. There are big enhancements coming to Continuum, which is currently limited in features. The Continuum updates will help smartphones provide almost a full-fledged PC experience, Whitehorn said. Users will be able to pin icons to the taskbar and have more options to resize application windows. Users will be able to run multiple windows, side-by-side, like on a PC. More applications on the smartphone will also run on the larger screen through updates to Continuum.